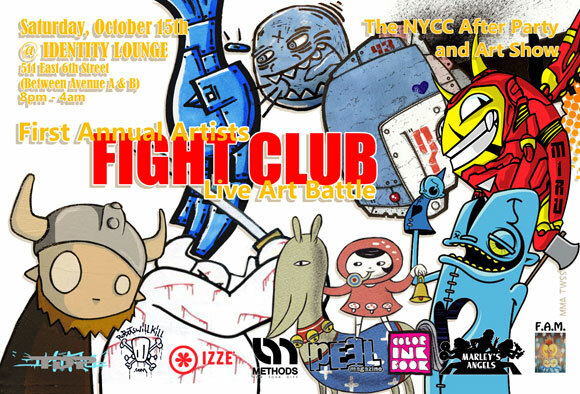 The live art battle known as the Artists Fight Club is about to go down during New York Comic Con for the first time ever. This NYCC after party and art show will feature over 30 artists and DJs throwing down paint and tunes at the Identity Lounge (6th St. between Ave. A & B) on Saturday, October 15 from 8p-4a. Mark your calendars and stash an extra 5 bucks to make sure you don’t miss this incredible live art event. The post 1st Annual Artists Fight Club Hits NYCC appeared first on Kidrobot Blog.